Scientists are blaming a giant patch of warmer water from Mexico to the Bering Sea, nicknamed "The Blob," for the unusual marine life activity they're seeing on the west coast. Dr. Nick Bond, a meteorologist from the University of Washington, came up with the nickname. Scientists suspect "the blob" is responsible for the toxic algae bloom on the west coast. "The Earth, our home, is beginning to look more and more like an immense pile of filth." Those were among the words of Pope Francis this week, in his Encyclical message on the environment. And looking around this week, one could argue that things were looking downright Biblical. 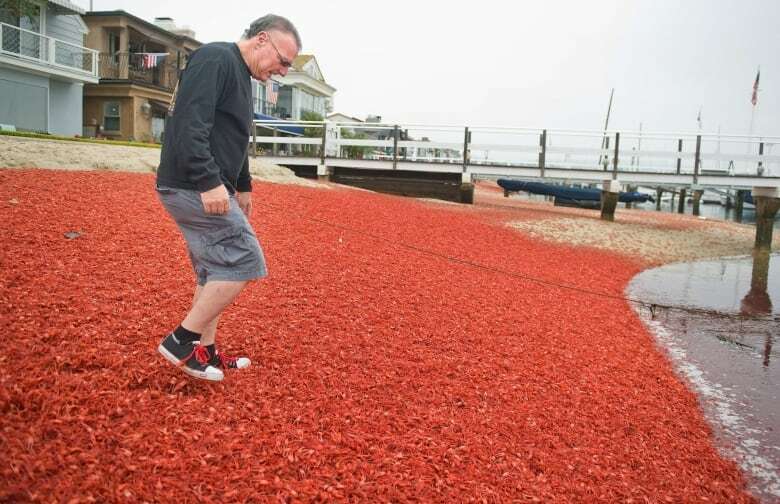 In Southern California, thousands of red tuna crab are blanketing the beaches. In places, their carcasses were stacked over a foot high. And these are creatures that normally never appear that far north. 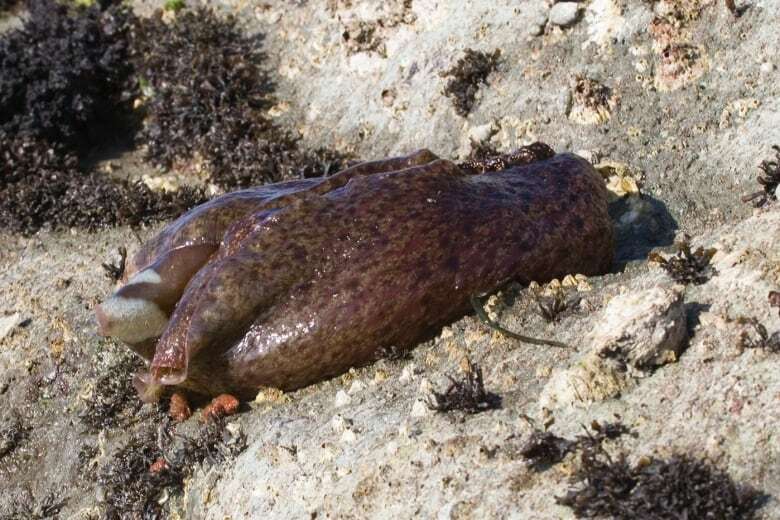 Further north, around San Fransisco, the shores were littered with giant purple sea slugs, known as sea hares. Fishermen in Alaska are seeing sunfish, warm-water blue sharks, and skipjack ​tuna in northern waters where they've never seen them before. They've even caught a bumper crop of black cod near the coast. Normally, they're found much further out at sea. From Central California to British Columbia, scientists are seeing what might be the largest population of toxic algae they've ever on the west coast. They're toxic because these microscopic algae plants produce a potentially fatal neurotoxin. And that's led to many shut downs of shellfish harvesting fisheries off Vancouver Island, Washington State, Oregon, and California. Some scientists believe these strange occurrences might be connected to something known as "the blob." It's a mysterious continent-sized body of warm water, stretching from Mexico to the Bering Sea, which has been developing since early 2014. In some places, the water is 3 degrees Celsius warmer than usual. Dr. Nick Bond is a meteorologist from the University of Washington. He's the man who gave "the blob" its nickname and he joins me now from Seattle, Washington. Why do you call it "the blob?" It was a simple way to describe a complicated phenomenon. There was a more or less circular patch of extremely warm water off the west coast of North America. I just thought it was a convenient way to describe it. And boy, the name caught on. The blob is making species do things they don't normally do; sunfish are showing up in Alaska and purple sea hares are taking over beaches in California. How unprecedented is what's happening right now? In certain places, the temperatures relative to normal are higher than they've ever been, at least in our historical record. So we're kind of in uncharted territory. And why is that having this effect on wildlife compelling them to places they don't normally go? The species in the marine ecosystem have preferred habitats based on temperature and other characteristics. When there are changes in the ocean, they respond to that. In this case, many subtropical species have been able to move further north. And many of the species that are more adapted to cold water are doing relatively poorly. But we keep hearing how delicate the ecosystem is and how connected species are to each other. When migration patterns are disrupted so dramatically, does it pose any kind of a threat to the species involved? It certainly impacts their populations. But there's always been climate variability, and some fluctuations in the system, and there are corresponding booms and busts in marine populations. But because this case is so extreme, the change that's been imposed on that system is huge. So which species do you think are most at risk because of the blob? We know that the west coast salmon tend to do poorly when the water is warmer than normal. Their favoured prey isn't around as much, and they're skinny and tend not to survive. There are certain sea birds also, like the Cassin's Auklets, that rely on some cold water prey that just aren't out there right now. What does that tell you in terms of the biodiversity and the stability of the system? How challenging is it that there are these changes in migratory patterns? In this case, the warm water temperatures have been so extreme that the anomalies are as large as we've ever seen them in the historical record. So it's a really big event for the ocean. In some ways, what we've been seeing is unprecedented. But on the other hand, we don't think it's going to last forever. Right. 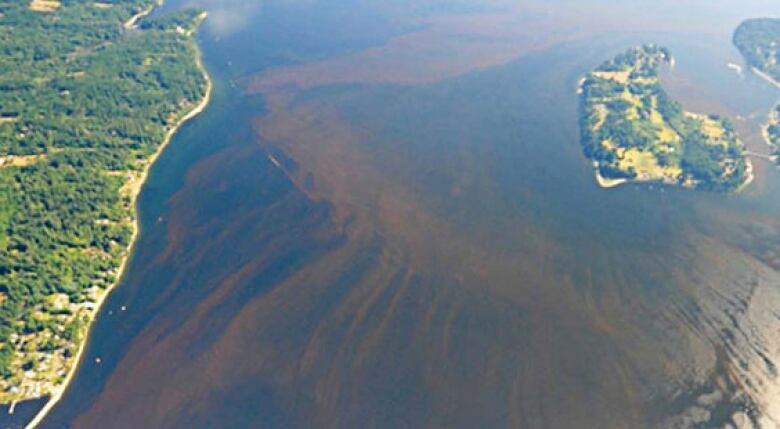 Some of the phenomenon, like toxic algae blooms, happen naturally from time to time. But this is different. What makes it so different? The extent and scale of this bloom is amazing to scientists like myself. In this case, it's been seen in Monterey Bay and now it's up to Vancouver Island. Usually it's much more patchy. Some of the concentrations have been as high as any we've ever seen. It's a very big deal; and because it is such a potent neurotoxin, it can have serious effects. We do know that it was caused by the very unusual weather patterns that have dominated the weather in western North America over the last couple of winters. But the tricky part is, what causes weather patterns in the first place? The blob itself occurred because there was a ridge of higher-than-normal sea level pressure out over the northeast Pacific. That meant weaker winds and less heat drawn out of the ocean into the atmosphere. That ridge of high pressure actually appears to have some roots in the far western tropical Pacific. What you're describing sounds like a confluence of natural meteorological phenomenon. Is anyone saying that climate change is the culprit here? No. We think it's a short-term fluke of the climate, caused by events in the far western tropical Pacific around New Guinea that disrupted the atmospheric circulation. Some waves rippled out away from that to higher latitudes. That's what caused that ridge that created all the problems. I might add that that same ridge helped deliver especially cold air into Canada's eastern and Maritime provinces last winter. Right, which we remember well. That's right. So it looks like its roots were in the far western tropical Pacific. It's kind of like what we've seen with El Nino, but again originating further west. But the interesting thing is, as you said earlier, the size of this but also its persistence. Do you believe the blob is going to dissipate any time soon? The models that we use for seasonal weather prediction are certainly indicating that it's going to hang tough through the remainder of this calendar year and into 2016. Conditions are such that when the ocean gets warmed up to this extent, it has so much thermal inertia that it just can't change that fast. Will Suncor's driverless trucks put Alberta truck drivers out of work? Is Donald Trump a political hopeful or a satire artist?